MTS Siding and Roofing LLC has been providing reliable and quality roof shoveling in North Brookfield, MA since 2003. 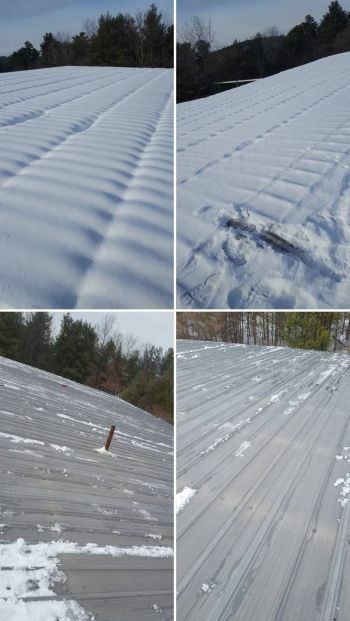 When it comes to a shoveling roofs in North Brookfield, our skilled roofers do the job right, maintaining our commitment to quality and high standards. We at MTS Siding and Roofing LLC have the experience and dependability that you are looking for in North Brookfield. We offer the most professional and affordable residential and commercial roof shoveling in North Brookfield, MA. MTS Siding and Roofing LLC can efficiently shovel a roof in North Brookfield, doing a safe and thorough job. We are the best choice when it comes to shoveling snow and ice off roofs in North Brookfield. We have the right equipment and know-how to carefully shovel roof snow and remove ice dams that may form from the continual melting and re-freezing of snow. Is there ice in your gutters in North Brookfield? Call MTS Siding and Roofing LLC to help you with that potentially dangerous home maintenance task. Do you need roof shoveling in North Brookfield or help with removing ice off your roof? Don’t wait till the snow and ice damage your property. Call MTS Siding and Roofing LLC now! We know how to shovel a roof safely and efficiently. Let MTS Siding and Roofing LLC and our experienced roofers in North Brookfield handle your roof shoveling and do the job right without damaging your roofing material or the structure of your house or building! Remember, we are your go-to roofing company in North Brookfield! Since 2003, MTS Siding and Roofing LLC has been shoveling roofs in North Brookfield. We have built a reputation being dependable and affordable for 16 years. You can trust that MTS Siding and Roofing LLC’s roofers in North Brookfield are as courteous as they are knowledgeable. Contact MTS Siding and Roofing LLC about your roof snow removal in North Brookfield, Massachusetts. Our North Brookfield crew will be happy to provide you with a competitive roof shoveling quote and stand by the outstanding roofing service that we deliver.